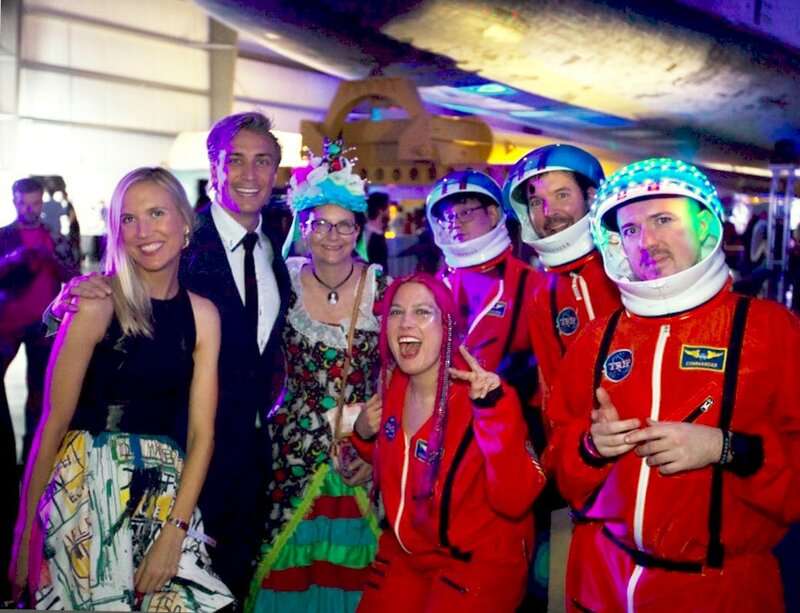 Yuri’s Night LA featured astronauts, VR, DJs, and dancing under the space shuttle Endeavor on April 6 at the California Science Center. 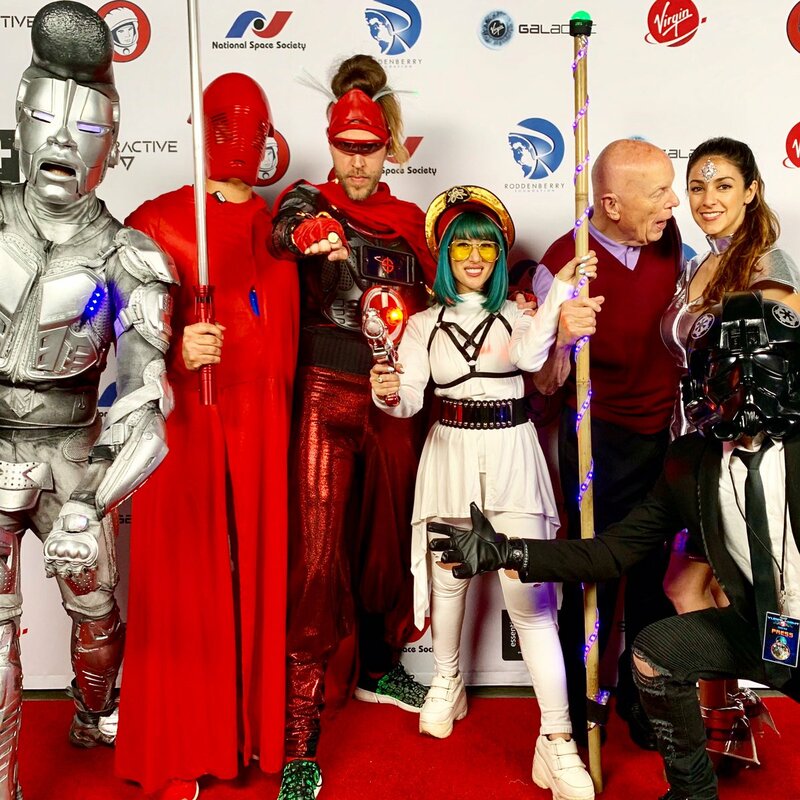 The Yuri’s Night LA celebration is part of an international celebration of space in honor of Yuri Gagarin, the first man to launch in space on April 12, 1961. More than 60 events are planned the weeks around April 12, from LA to Kennedy Space Center in Florida, to other countries and virtual events online. See complete schedule on Yuri’s Night site. 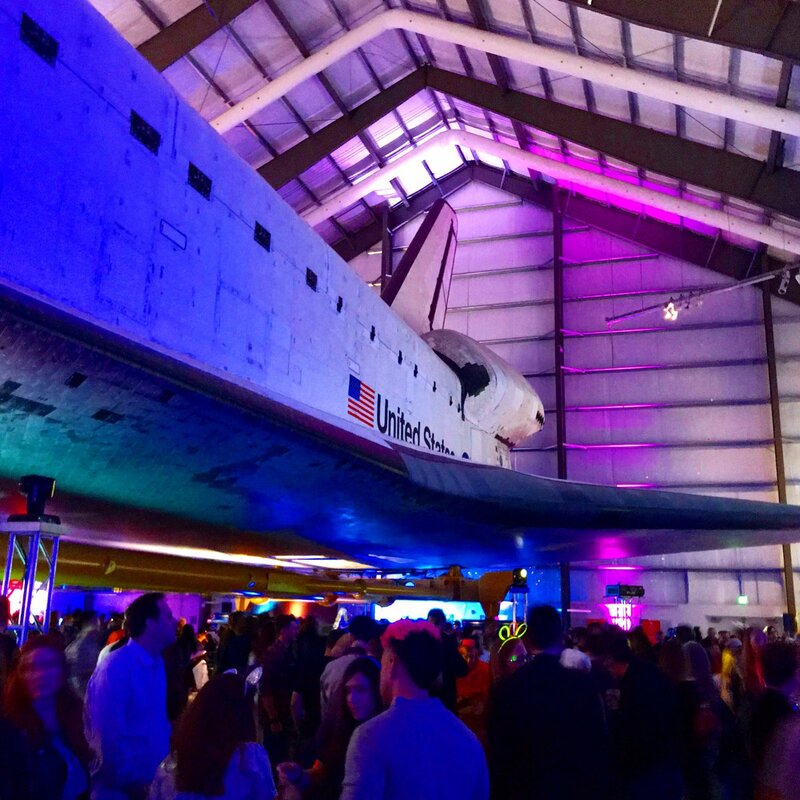 The LA celebration is unique in that attendees can dance under the space shuttle Endeavor. 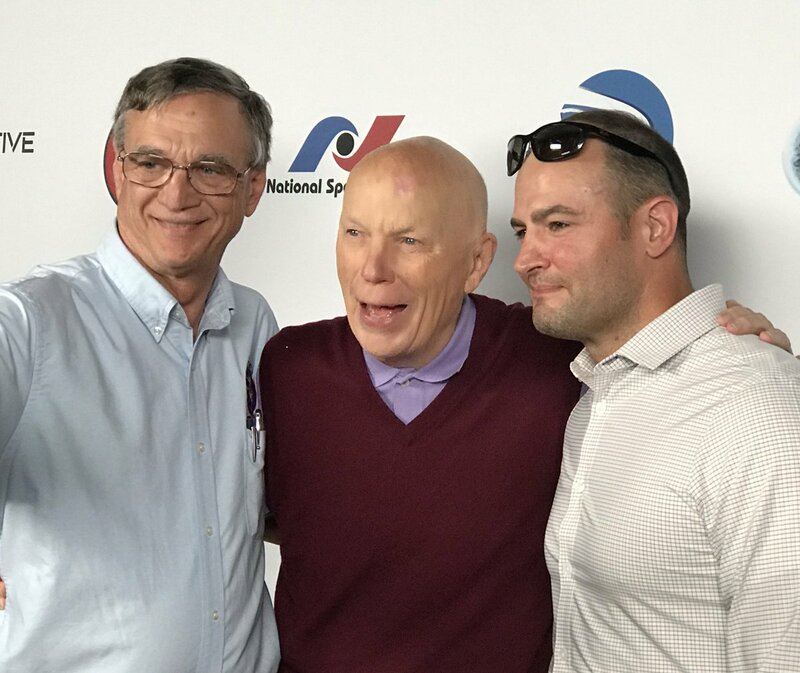 Astronaut Story Musgrave, the only person to have flown on all five Space Shuttles, was the special guest of honor leading the LA celebration of the 50th anniversary of Apollo 11 under the Space Shuttle Endeavour. 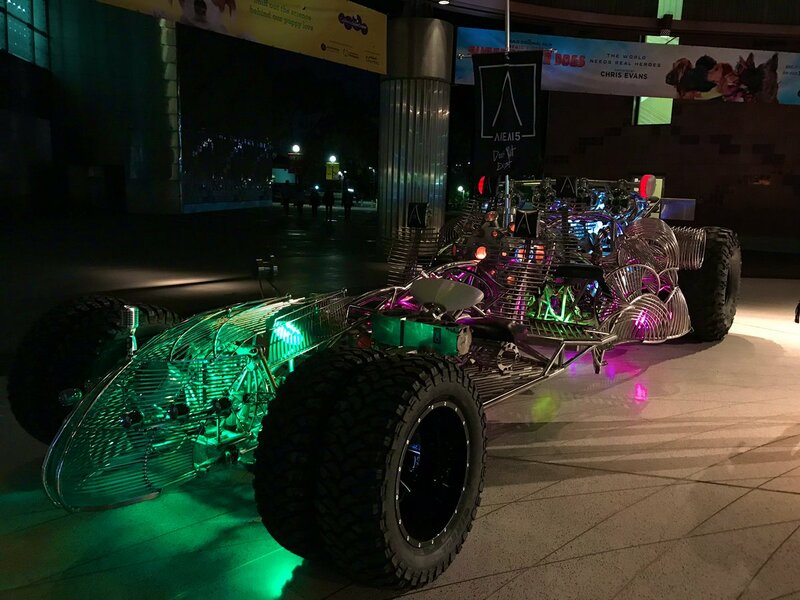 Additionally, several astronauts, guest speakers, and event ambassadors spoke or attended including Bill Nye the Science Guy. Gray Bright was the ever-energetic host. 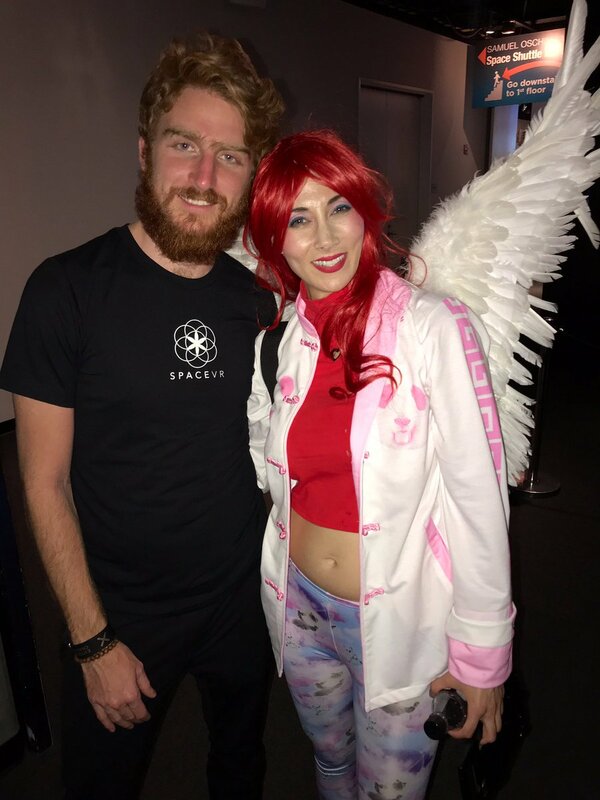 Attendees included the LA space community, including attendees from NASA JPL, SpaceX, Northup, and more. 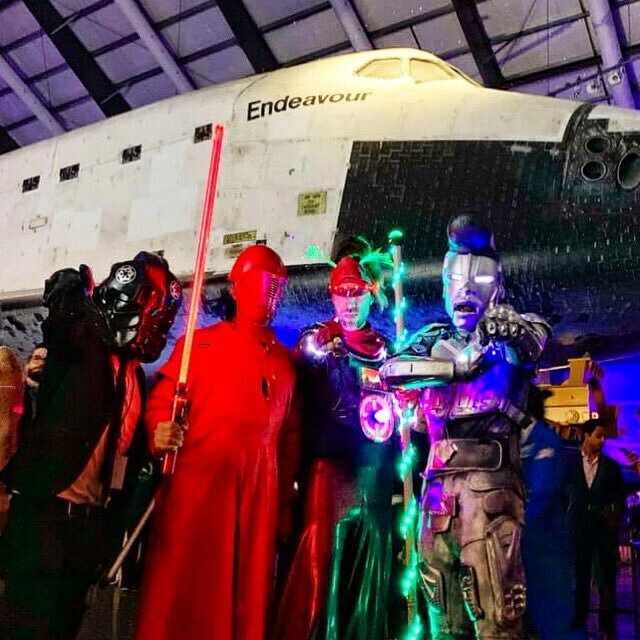 Several speaker at our previous Digital LA space, robots and tech events also attended. 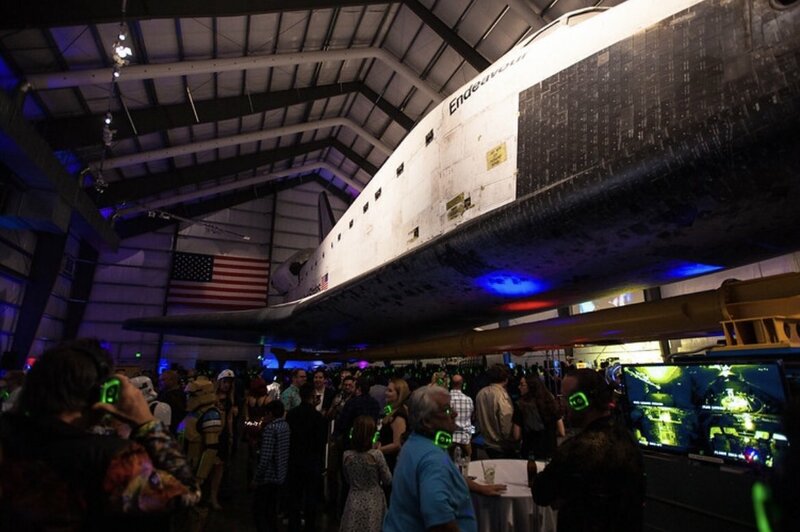 In addition to the main event stage under the Space Shuttle Endeavor, attendees could explore space in several of the California Science exhibit rooms. 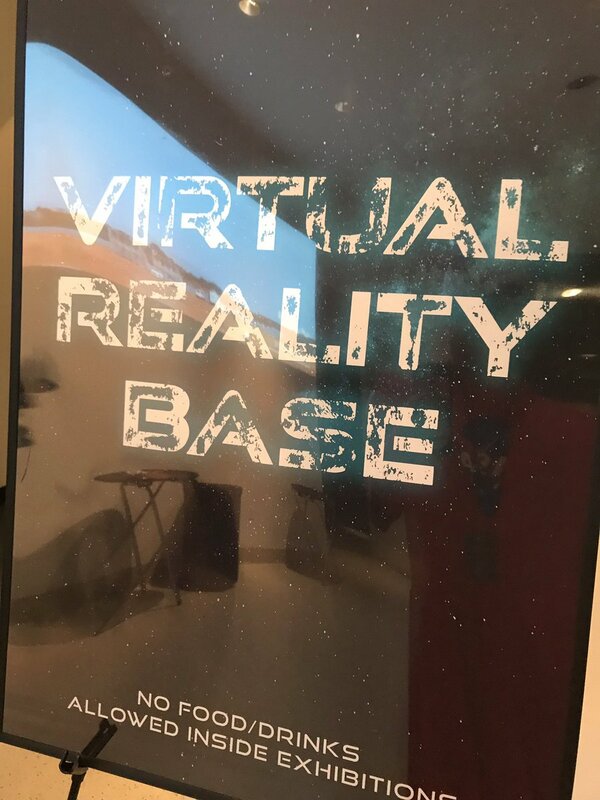 Ryan, founder of Space VR, demoed his VR experience in the VR Base. You wear VR goggles and lie down to fly over several cities on Earth in space. 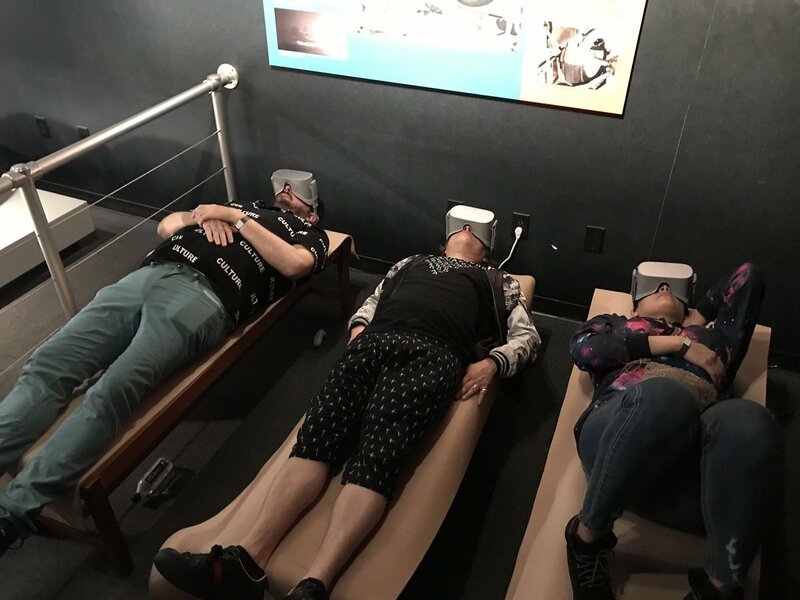 It’s the simple version of the full Space VR experience, where you wear waterproof goggles in a water-filled sensory deprivation tank to feel the full experience of weightlessness while in VR. 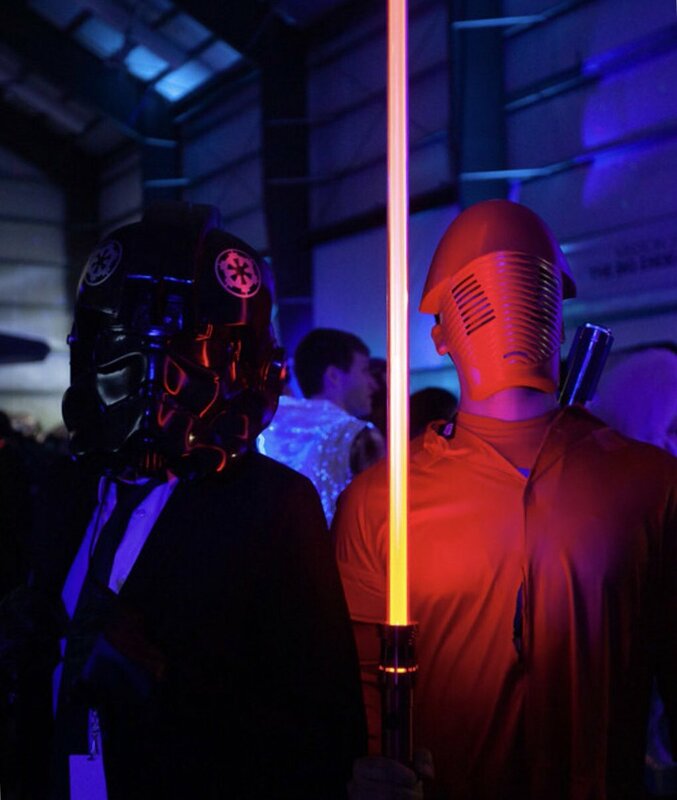 Other VR demos included the award-wining Beat Saber, perfect for the Yuri’s Night space theme. Silent Disco. 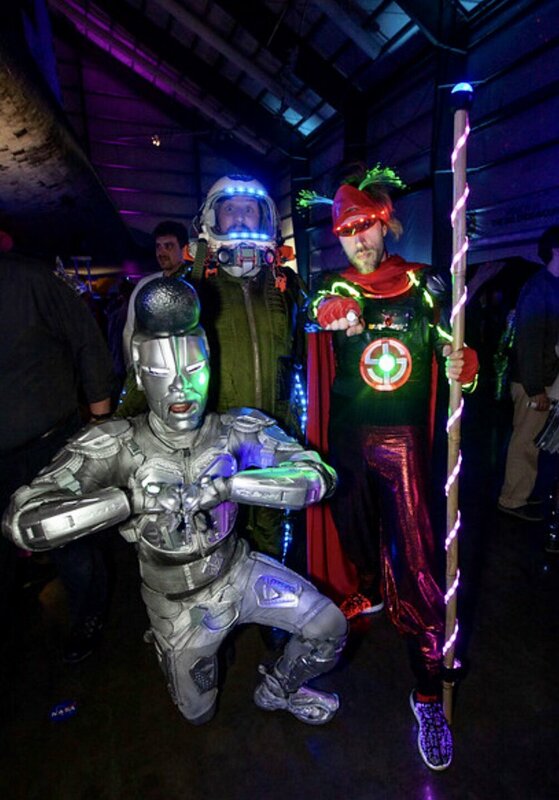 In the underwater aquarium room, attendees wore headphones and dance to the silent disco as fish swam overhead. No ambient music, so as not to disturb the fish! 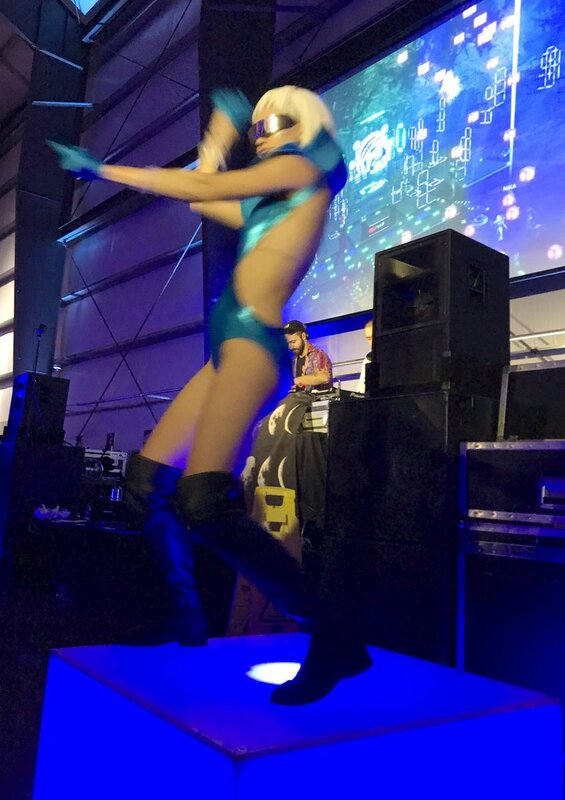 It was very surreal seeing people dance, illuminated by the blue underwater scene, as if this is what a Gungan dance party would look like on Naboo or some other underwater planet. Art Gallery. 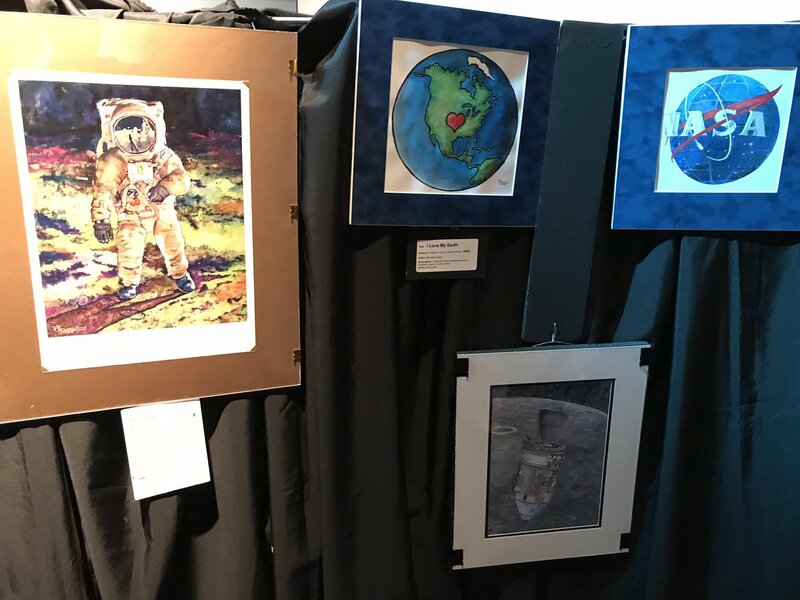 Space theme art was displayed in the art gallery, showing how science and art blend together. And several organizations had tables to reach out to the community too. 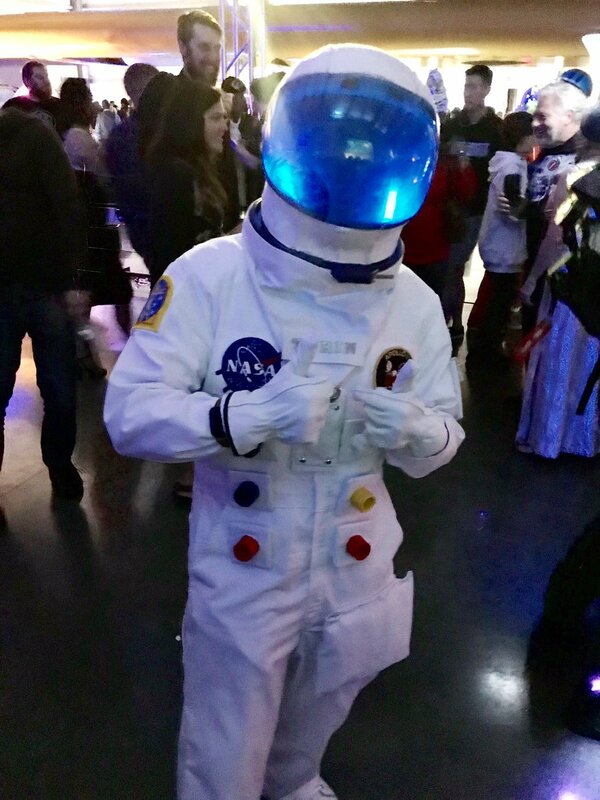 As always, the space themed cosplay was on point. Space dancers looked like they stepped right out of the Space Channel 5 video game. 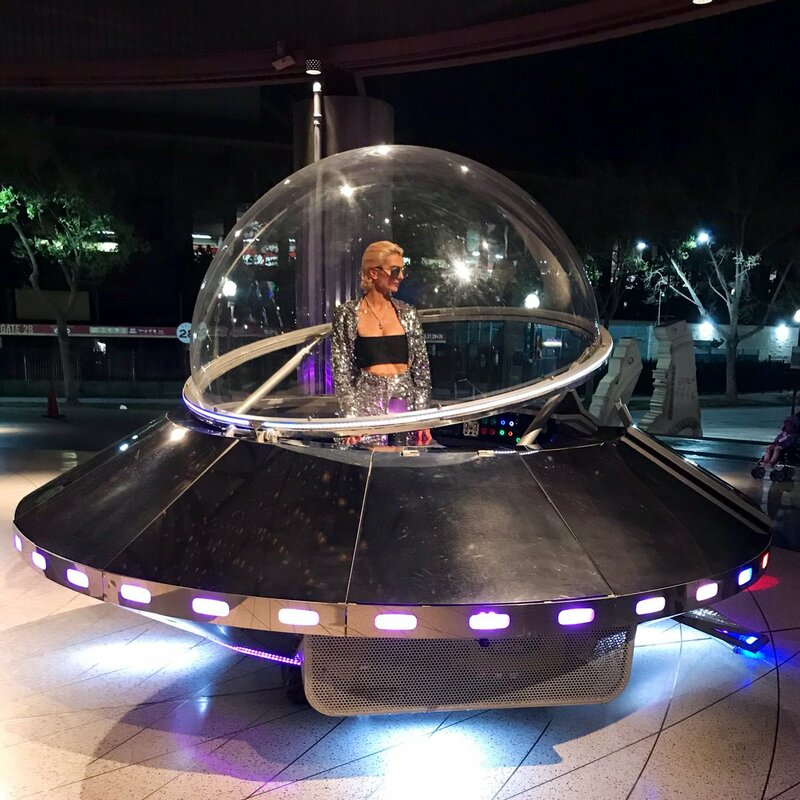 and this UFO in front of the museum.